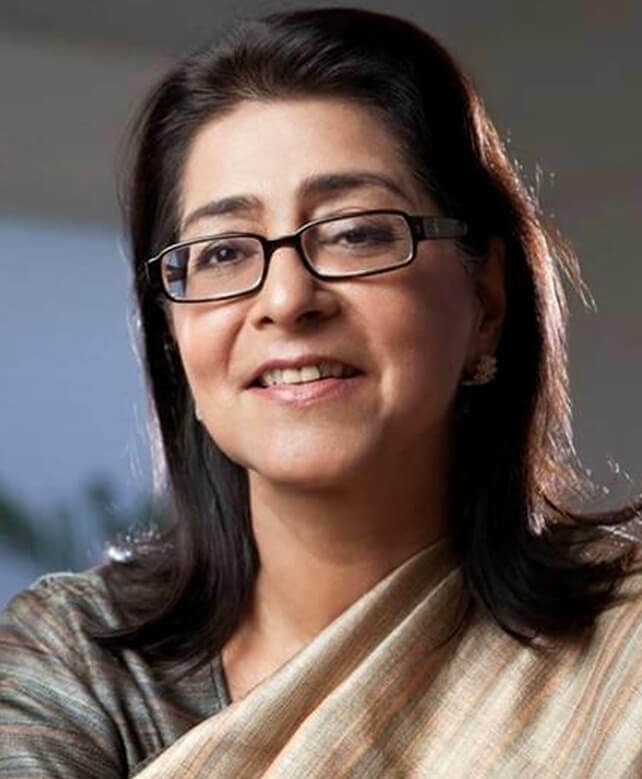 Naina Lal Kidwai is one of the few woman leaders who have successfully broken the glass ceiling with grit and grace. She brings her experience and wisdom to her sessions, drawing from years of experience in the corporate world and speaks about organizational culture, values and ethos. A keen conservationist, she also speaks on environment and water sanitation – two topics that are close to her heart and she has been actively engaged in. Over Naina’s professional journey, she has led corporate giants like Nestle, CIPLA Ltd and Larsen and Toubro; and industry associations such as FICCI. In December 2015, she retired as Executive Director from the board of HSBC Asia Pacific and Chairman HSBC India and in April 2018 from the global board of Nestle. Currently, she leads the charge as chairman of Altico Capital India as well as Advent Private Equity India Advisory board. She also acts as a Non-Executive Director on the boards of Max Financial Services, CIPLA, Nayara Energy and Larsen and Toubro. She is actively engaged with industry bodies in the areas of water and environment, including The Shakti Sustainable Energy Foundation, International Advisory Council of the Inquiry of United Nations Environment Program (UNEP), Global Commission on Economy & Climate. She also chairs the FICCI Sustainability Energy and Water Council and the India Sanitation Coalition. An MBA from Harvard Business School, Naina has made regular appearances on Fortune listings of international women in business, since 2002. She has received many awards and honours in India including the Padma Shri for her contribution to Trade and Industry, in 2007. She has authored three books including the bestsellers “30 women in Power: Their Voices, Their Stories” and “Survive Or Sink: An Action Agenda for Sanitation, Water, Pollution, and Green Finance”.